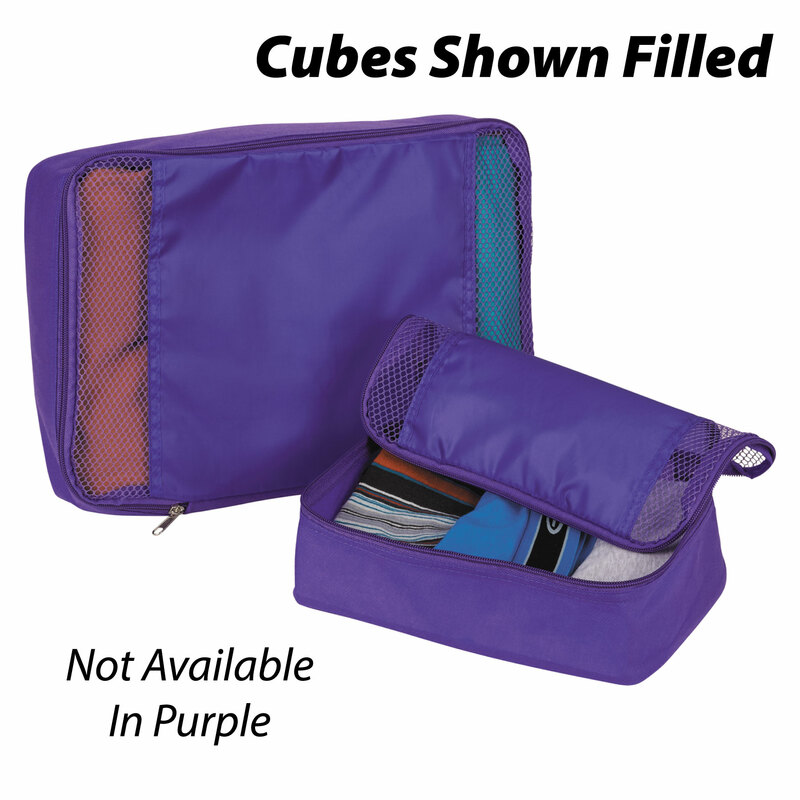 Stay organized while you travel with the non-woven packing cubes. 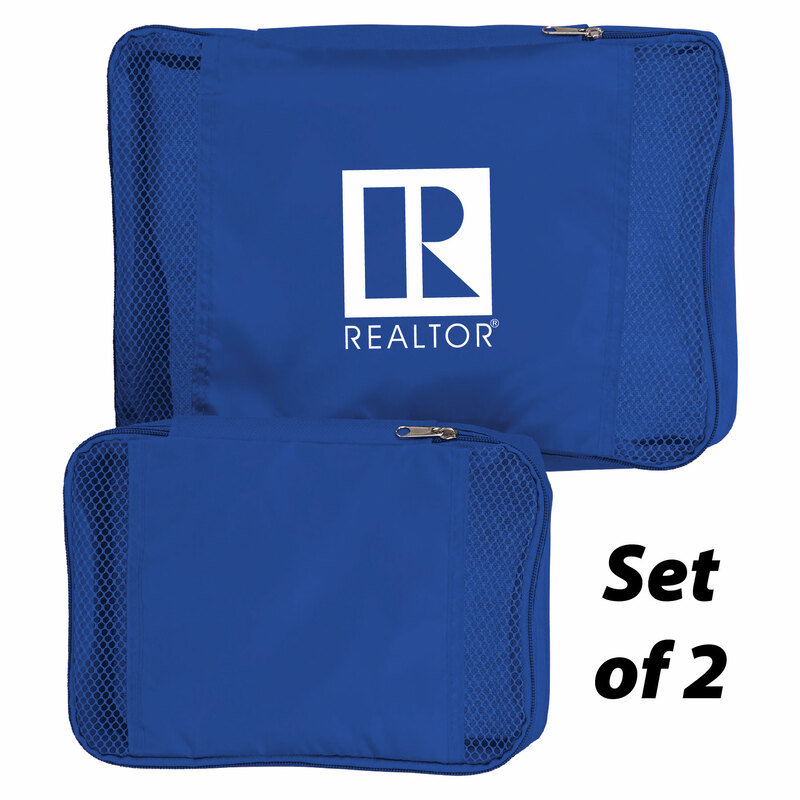 This set includes two sizes, one medium and one small which allow you to keep your items organized and safe. These cubes fit into one another for easy storage. 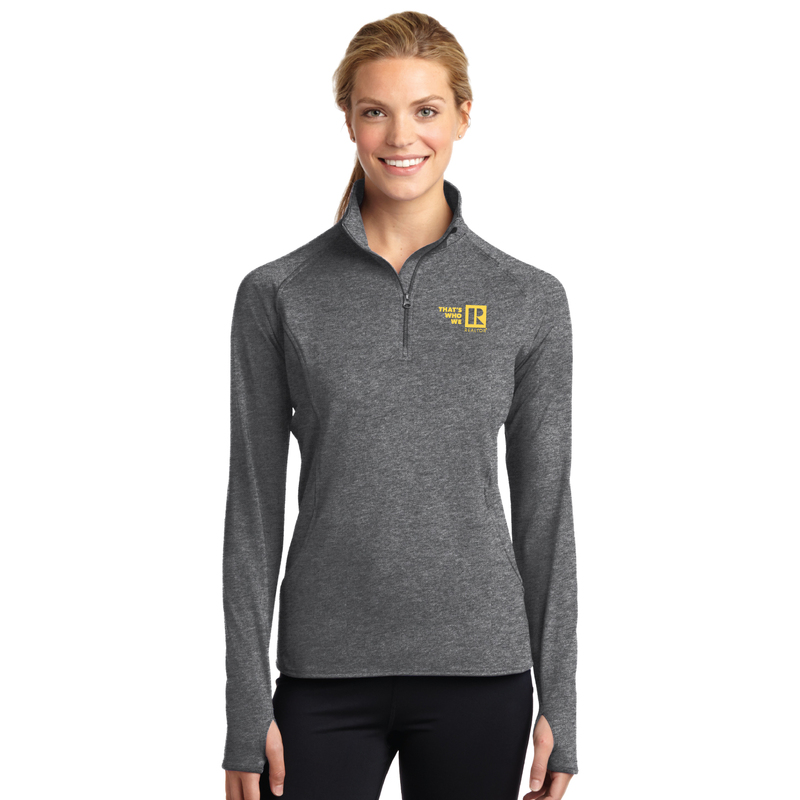 Zippered main compartments feature ample room to pack jewerly, tech accessories, clothing or hygenine products. Mesh accents allow you to identify your belongings.These cubes can be packed in your suitcase, bag or carry on for easy access.